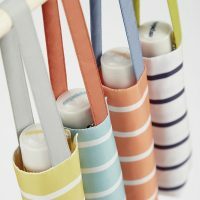 Trouble finding a product to suit your needs? 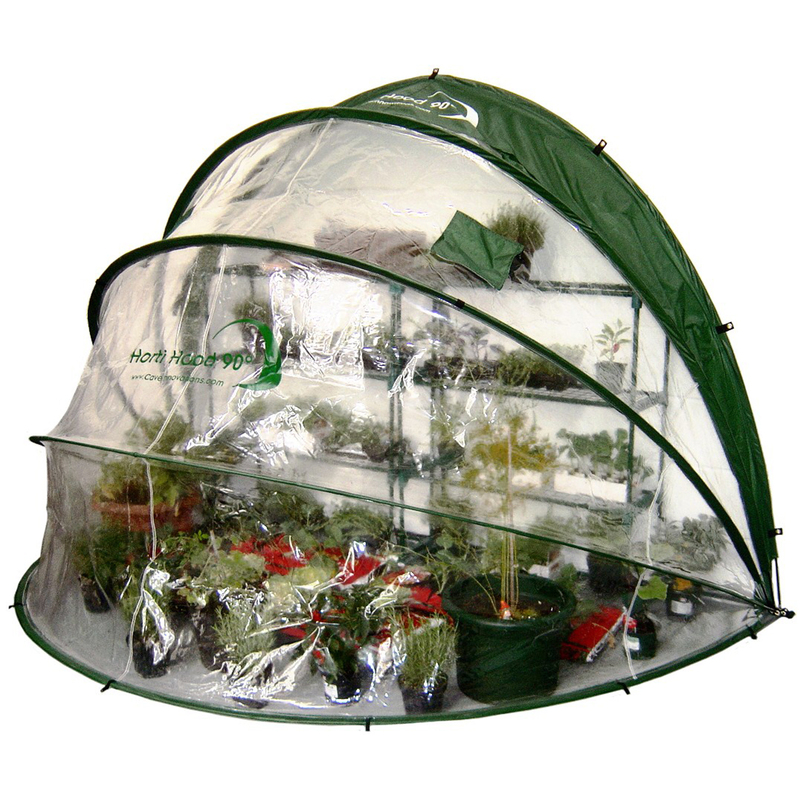 Don’t sweat it, we have a variety of products to cater for anyone’s needs, see below for more! 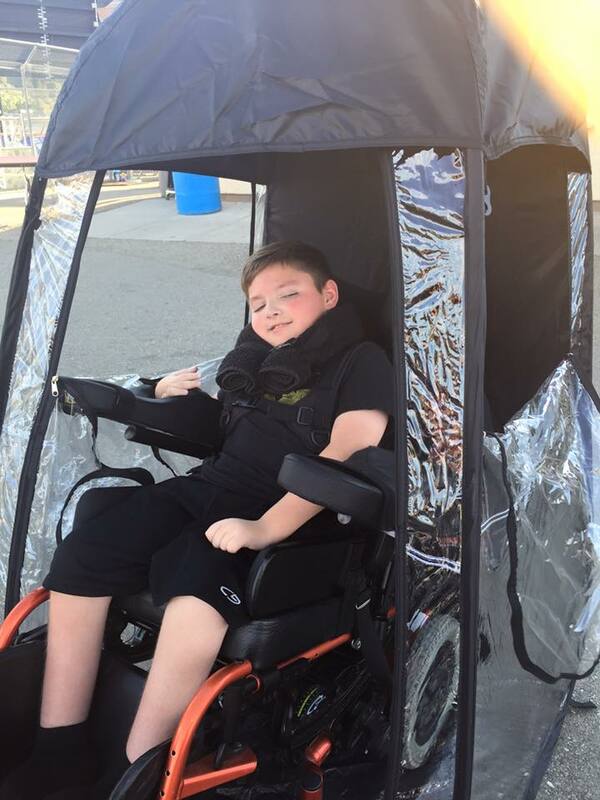 With our special outdoor mobility personal pop-up shelter pod, you have the freedom to get out and about and enjoy the great outdoors protected and sheltered from the elements. 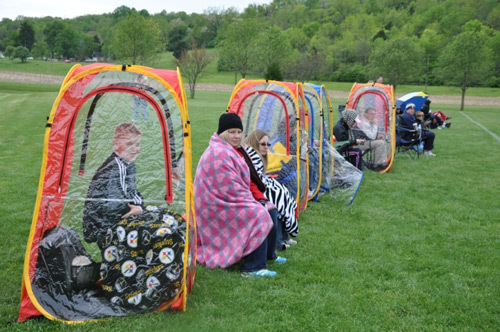 The Personal Pop-Up Shelter is the answer whatever you’re up to outdoors. 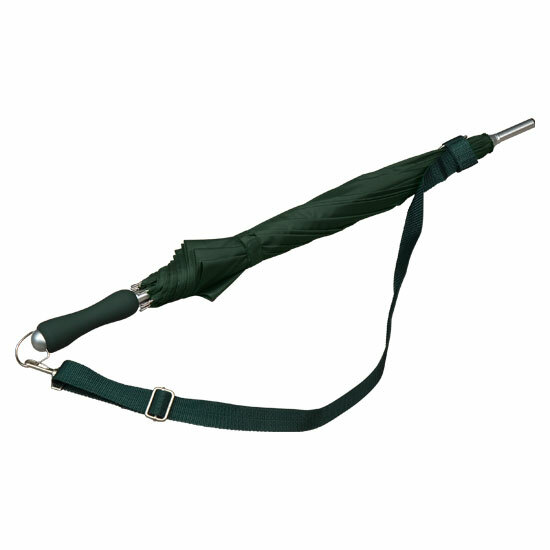 Erected in seconds and supplied in a funky backpack, you’re soon out of the weather. It can be as much as 30ºF warmer inside than outside in the winter. 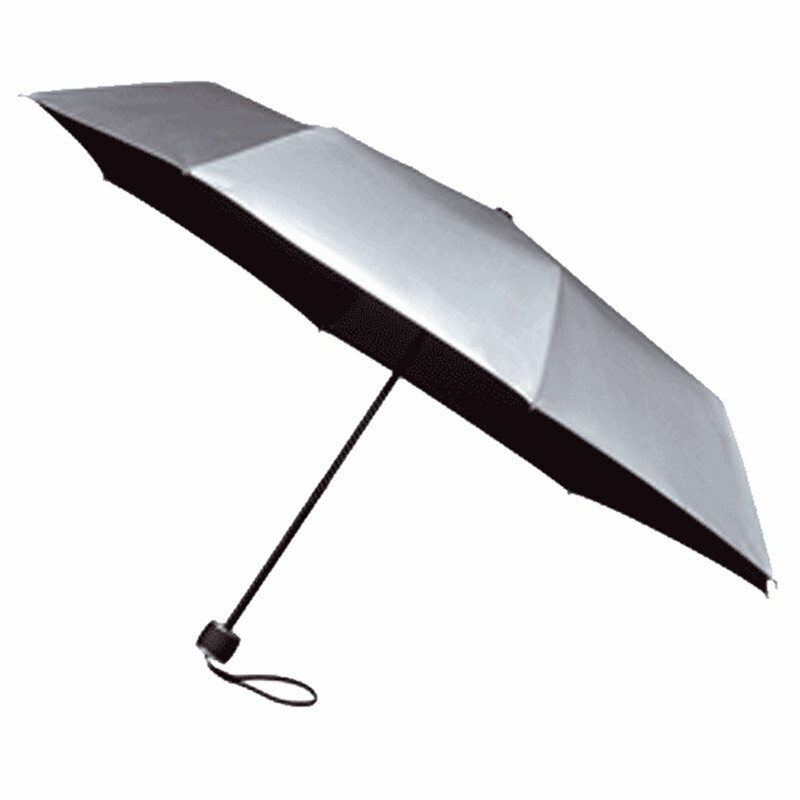 With excellent UV protective capabilities it’s also great for summer when you want some shade. 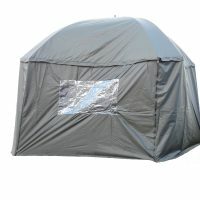 With zipped openings on all four sides you can keep cool too. Just another simple idea that solves a problem. 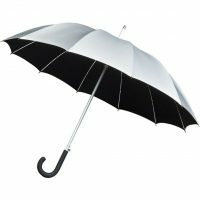 There you are wandering along using your umbrella to help and it starts to rain. 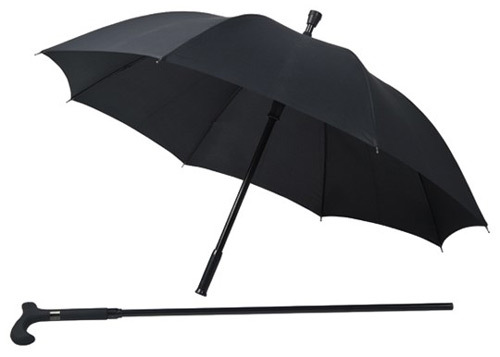 Open your umbrella and you can stay dry – ah, but now you have no walking stick! 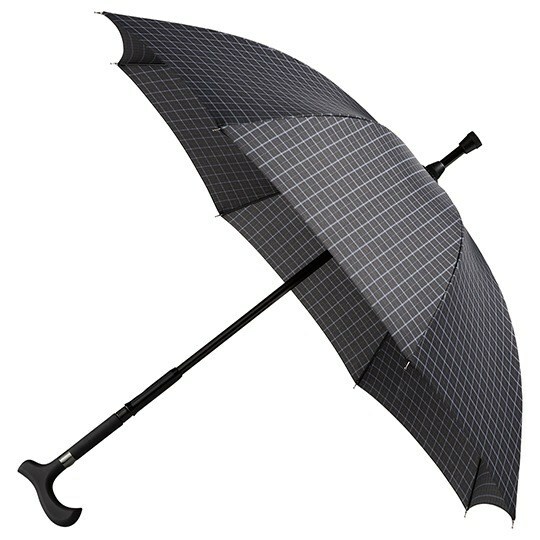 Not so with this ingenious Walking Stick Umbrella. 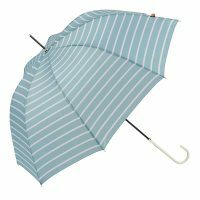 You press the secret button and a sturdy steel walking stick slides out of the umbrella shaft so you can use both at the same time. 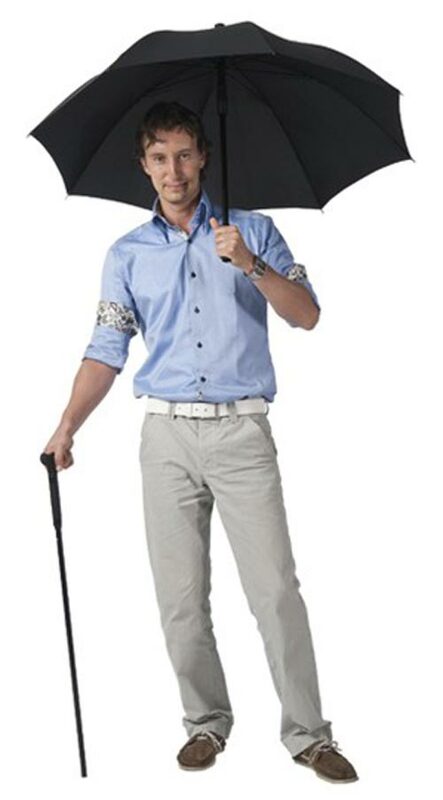 Use the umbrella AND walking stick at the same time. 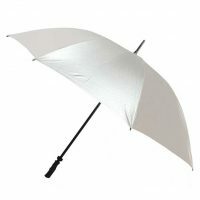 If you love the sun but the sun doesn’t like you, enjoy the summer with our EazyShade Specialty UV Protective Umbrella. 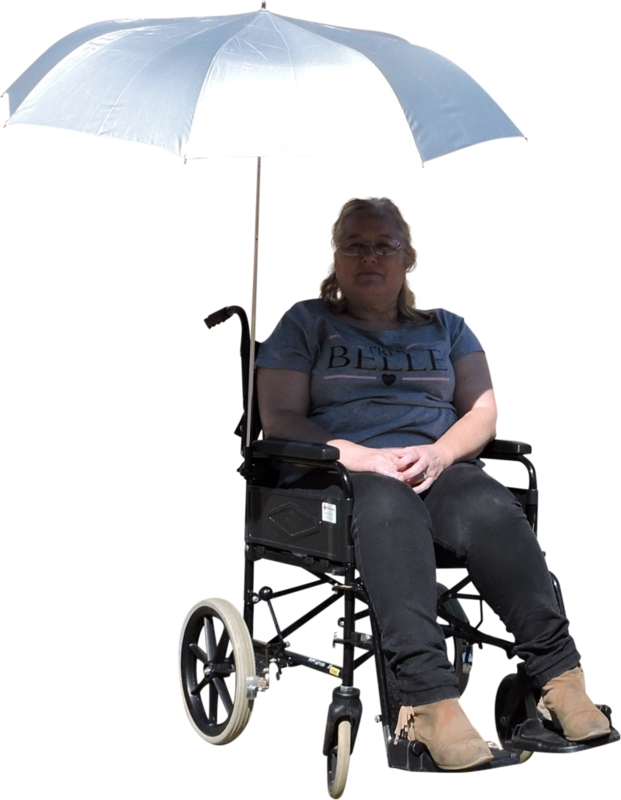 Clamp it on to the side of your wheelchair, chair or sun lounger, adjust it so you’re in the shade and you’ll quickly enjoy superior levels of UV Protection. Clamp opens up to 32mm. 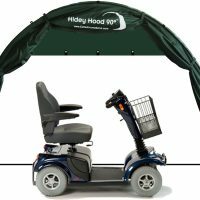 The canopy has a silver outer coating and features a black underside to minimise the effects of UV reflections bouncing back up from the ground. Enjoy the sun wherever you are, in your garden, the park or down on the beach. 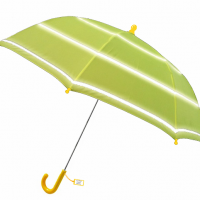 Oh and it’s waterproof so you can use it as a regular umbrella too. Just clamp it to the side of a pushchair or buggy. 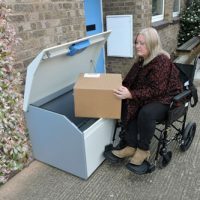 Check out our amazing lift-up, drop down, wall-mounted, folding mobility scooter cover – designed for convenience, total access and ease of use. 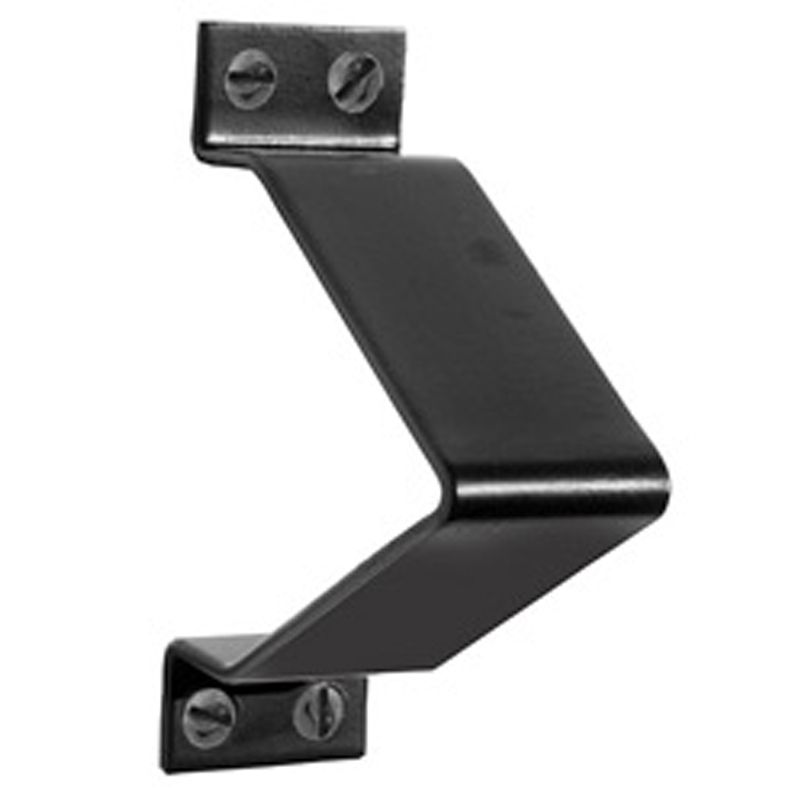 It’s a simple self-assembly outdoor mobility product that just screws to a wall or fence. 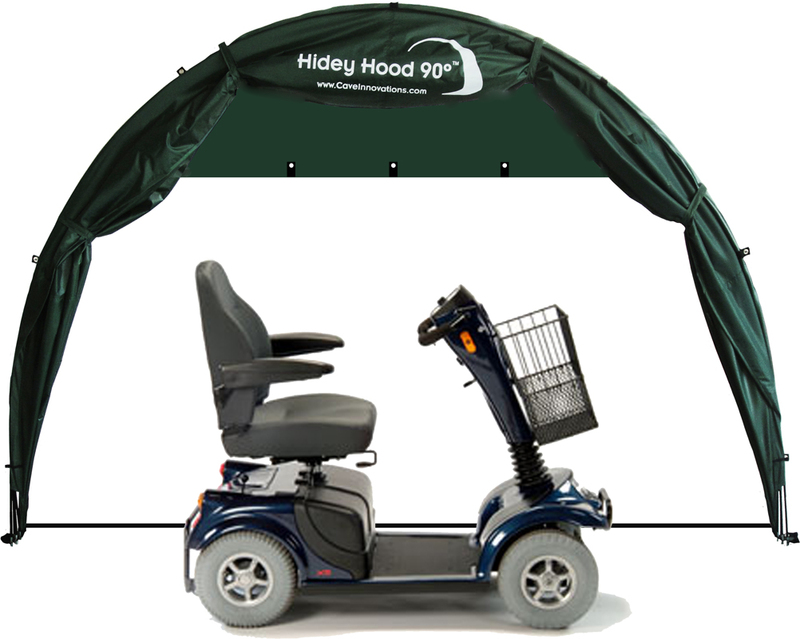 Fold it up out of the way when not in use or drop it down in seconds to create a dome shaped mobility scooter shelter pod. 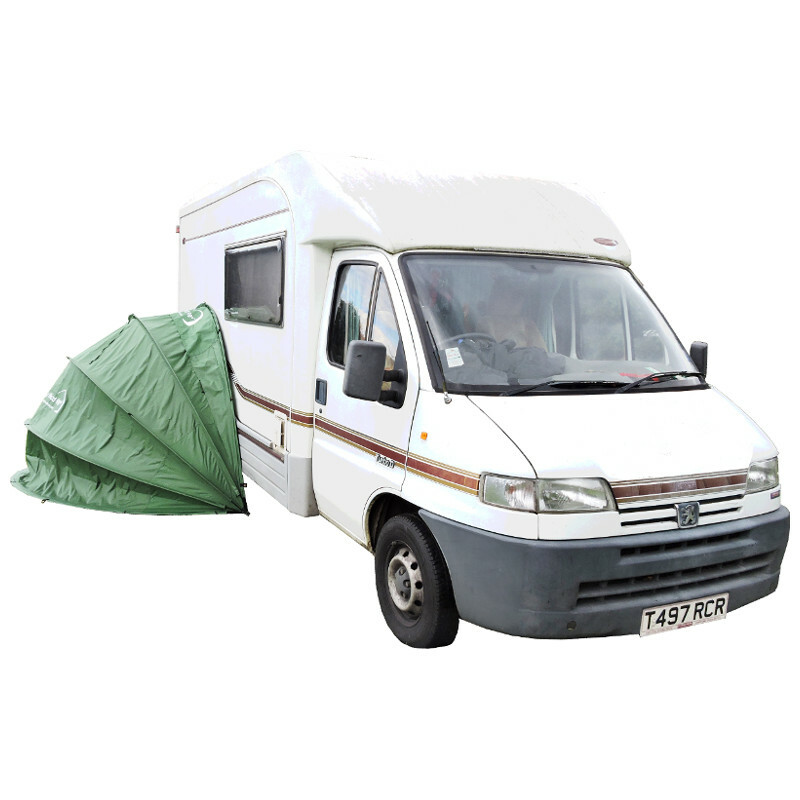 As an optional extra there’s also a metal security fixing called the Anka Point to secure your mobility scooter from theft.